Authority of the Bowen University Teaching Hospital (formally Baptist Medical Centre), Ogbomoso, Oyo State invites applications from suitably qualified candidates for admission into its school of nursing programme for the 2018 /2019 academic session. 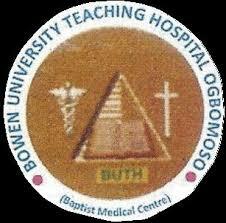 Bowen University Teaching Hospital School Of Nursing Admission Eligibility. How to Apply for BUTH School of Nursing Admission Form. You will upload necessary documents like O’ Level Result(s), Birth Certificate, Local Government Identification, Bank Teller (size 100-200KB) and Passport in JPG/PNG format (size 10-20KB). Printout your already filled Registration Form, Attestation Slip and 2 copies of Examination Slip. You will change your bank teller you obtained from the UBA Bank to School Receipt at the Account Section of the Hospital after registration has been done. YOU MUST MAKE SURE YOU SUBMIT ALL YOUR PRINTOUTS INCLUDING THE ATTESTATION FORM AT THE PRINCIPAL OFFICE ON OR BEFORE THE ENTRANCE EXAMINATION DATE (Shifted to 9th JUNE, 2018). For quick help send mail to webmaster@buth.edu.ng or Call Web Admin (WhatsApp): 08035551849—- Strictly only from Monday to Friday (8am – 4pm) Or send mail to nursing_school@buth.edu.ng.